Why does the Church continue to require priests to practice celibacy? One simple answer is that it was the path Jesus himself chose to follow, says Father Gary Selin, assistant professor at St. John Vianney Theological Seminary in Denver. In “Priestly Celibacy,” Father Selin, who earned a doctorate in Sacred Theology from Catholic University of America in 2011, offers a theological presentation of priestly celibacy, beginning with the biblical foundations for the practice, and including the history of the discipline from the very foundation of the Church. Q: Pope Francis recently said that priestly celibacy is a “gift for the Church”. In what ways is that true? Father Selin: Jesus Christ promised great rewards to the disciples who would leave all things, including marriage and the family, in order to follow Him (Lk 18:28-30). Jesus himself was poor, celibate and obedient to the Father’s will. Likewise, the priest seeks to imitate Jesus in these ways through his priestly ministry and life. To enable the priest to fulfill his mission, the Holy Spirit gives to him particular gifts, or charisms, among which is priestly celibacy. Seen in this light, celibacy is a gift for the Church that needs to be protected and cherished. 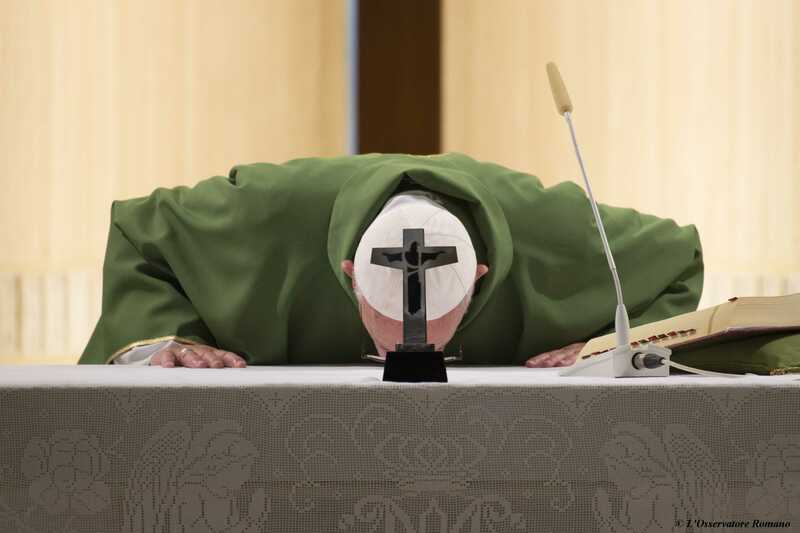 It is noteworthy that Pope Francis described celibacy as a gift for the Church. That is, it is a blessing bestowed upon the Church as whole, rather than a burden or imposition, as many believe today. Q: Is this approach of seeing celibacy as gift new to the Church? Father Selin: From the time of the Apostles, the Church has understood celibacy as a gift. St. Paul offered celibacy as a way of life for men and women, for he wanted them to be free from worldly anxieties: “The unmarried man is anxious about the affairs of the Lord, how to please the Lord; but the married man is anxious about the affairs of the world, how to please his wife, and his interests are divided” (1 Cor 7:32-33). Priestly celibacy as such enables the priest to be united, with an undivided heart, to Jesus Christ, the Eternal High Priest. This gift of divine intimacy is the first fruit of celibacy. Consequently, the priest is better able to pour himself out in a life of service to the Church through pastoral charity. Q: We are often told that celibacy is a “discipline” in the Catholic Church. What does this mean? Could the requirement for celibacy ever change? Father Selin: Every treasure must be protected. For example, we have banks that secure our money. Likewise, priestly celibacy needs to be protected by a law of the Church, which provides a safeguard for the priest’s chaste celibacy, and also defends this treasure from those who would seek to destroy it. Therefore, the discipline of priestly celibacy is the juridical protection that the Church provides for the gift of celibacy. This discipline is written in our Code of Canon Law (n. 277.1), and it requires priests and bishops in the Latin Church to life a life of perfect and perpetual continence, or celibacy. As such, the discipline could change. That is, the pope could “loose” the requirement of celibacy for candidates to the priesthood, and thus open the way for married men to be ordained. While this change is theoretically possible, I believe that it is unlikely in view of our perennial tradition. As stated above, Jesus Christ himself was celibate, and called his disciples to follow him. Imitation of Christ and obedience to his call of discipleship are the principal reasons for safeguarding the gift of priestly celibacy. Q: There are many books about celibacy and virginity, what is unique about the approach you take in your book? Father Selin: A review of contemporary literature shows that works abound on the history, sociology, psychology, and spirituality of priestly celibacy. Sadly, very little has been offered in the way of a clear theology of priestly celibacy. This book, however, will help to fill in the gap. The collective ignorance among Catholics of the scriptural, patristic, and theological foundations for priestly celibacy is widespread. It is my hope that this book will enable the faithful to form their minds about celibacy according to the teaching of the Church, rather than according to the relentless secularism of the media. We must pray that this gift is treasured and lived by priests, and prayerfully supported by the lay faithful. It is not a relic of bygone years that should be cast aside. Rather, it is a pearl of great price (Mt 13:46).